Mickey has found these YDraw.com videos and loves them. I've watched a couple. Here is a new one we watched today. So good. 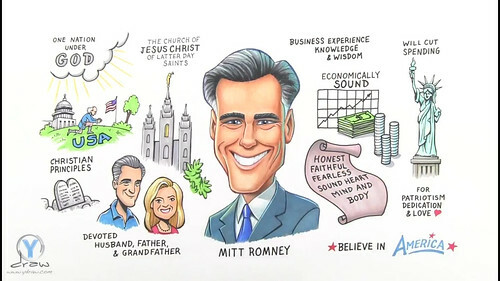 Even if you aren't for Mitt just watch for the artistic value. So, who are you voting for, the mormon or the moron? That video was awesome! The art is amazing. Mormon it is!